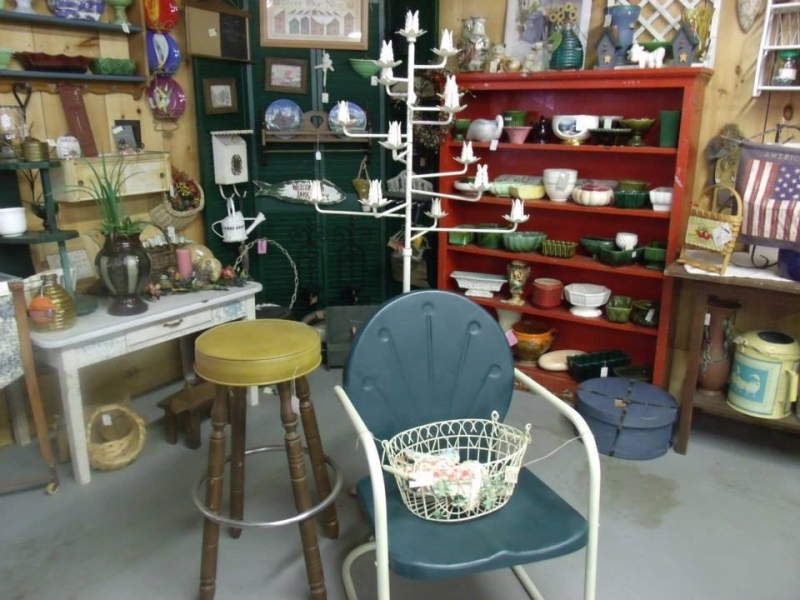 Carol’s Back Porch Antiques showcases primitives, garden items, weather vanes, vintage linens, old quilts, old dishes, enamel tables, enamelware, locally crafted tables, metal garden chairs, and much more. 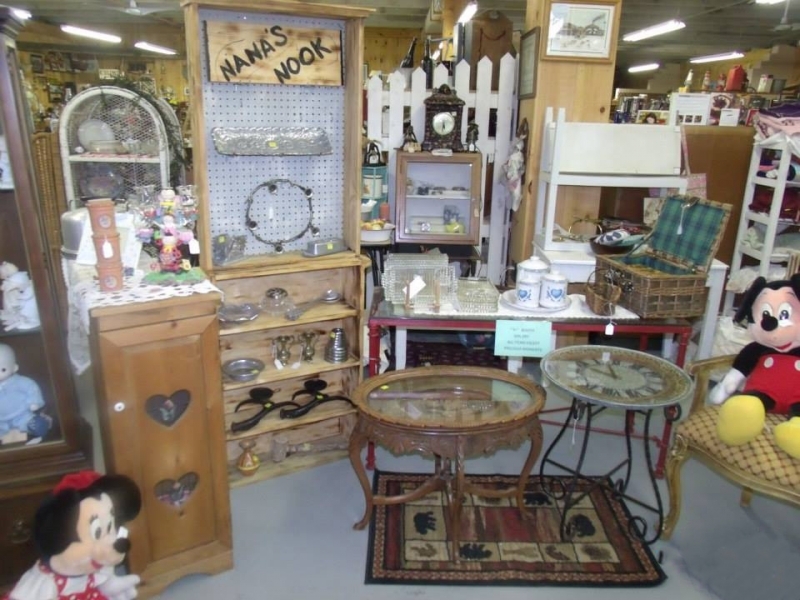 There are 10 dealers and 8,000 square feet of quality merchandise. 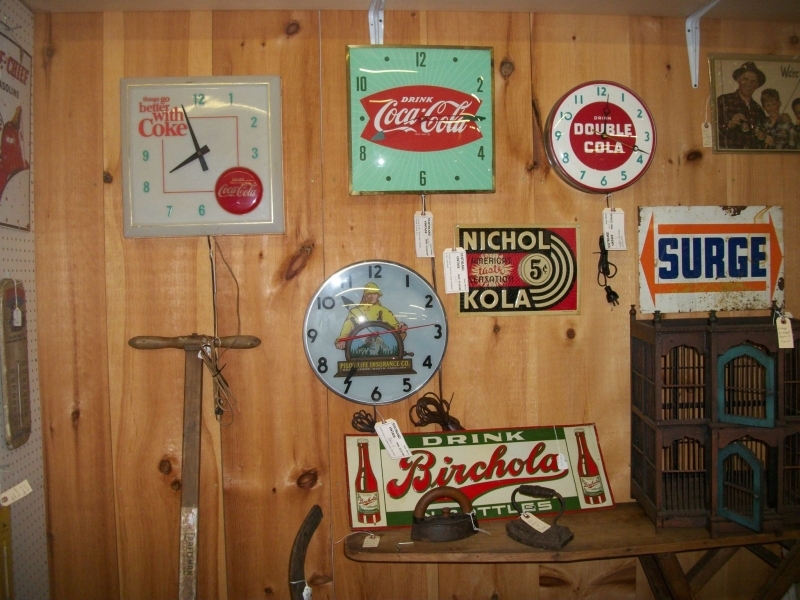 The shop is owned by the Holcomb Family. 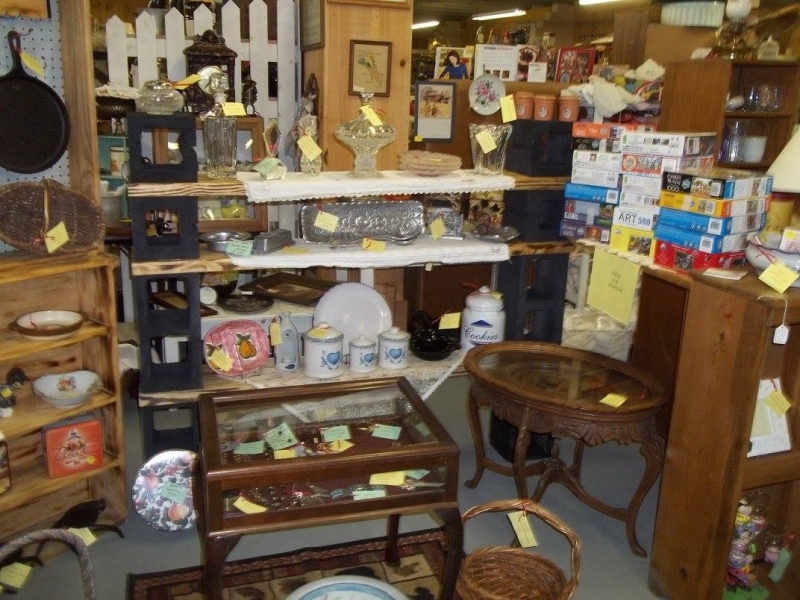 Stop by and visit Jeff during the week or Nancy on the weekends. 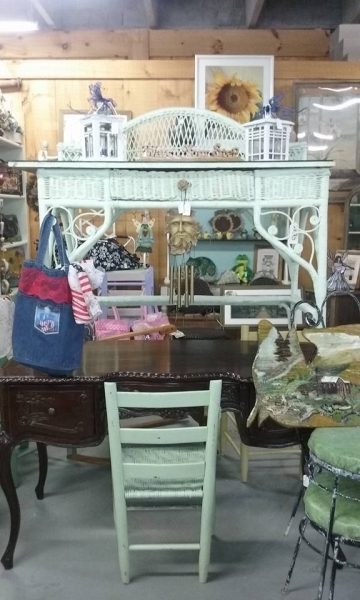 We would love for you to visit us when you come to beautiful Dillard Georgia! 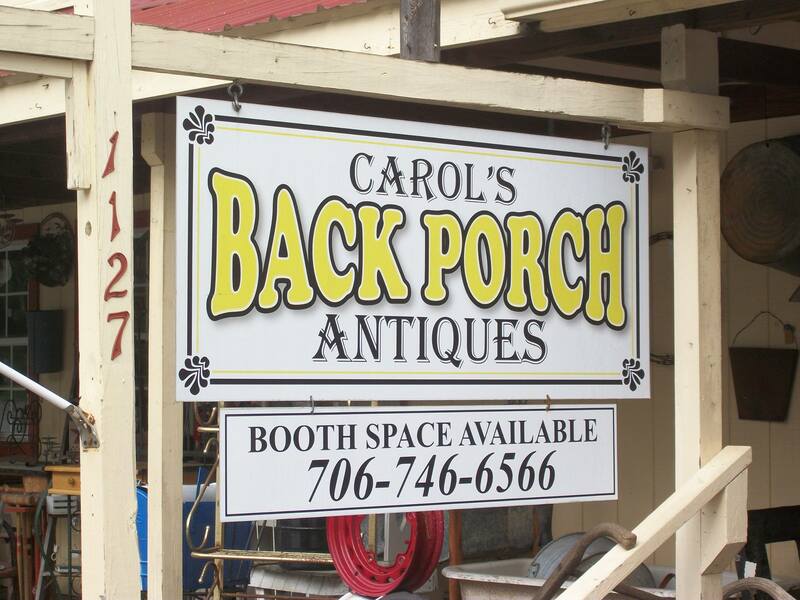 You can find Carol’s Back Porch by turning off Hwy 441 at the Dillard House sign or by turning right onto Franklin Street just past the Dillard General Store, accessible also via the steps on the north end of the Dillard Mall. We welcome all browsers and have ample parking in front of our “Porch.” The porch is just the place for a quick snooze, while the rest of your party finishes shopping. 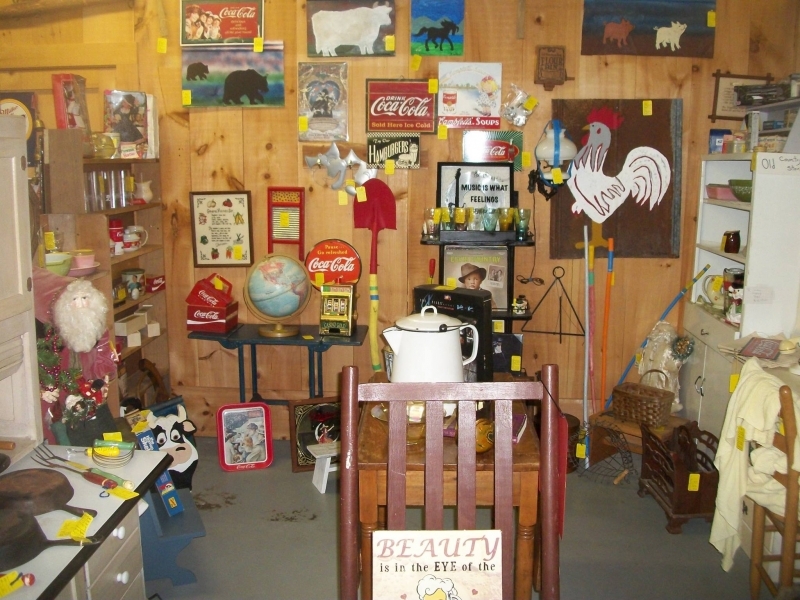 We are open Monday thru Saturday from 10:00 a.m. until 5:00 p.m. and on Sunday 1:00p.m. to 5:00 p.m. Call anytime at (706) 746-6566. Master Card and Visa accepted.